If you want to ski a lot this season and save money doing it, you may be interested in a ski pass program. You could buy a season pass from your favorite Quebec ski resort, but that restricts you to skiing the same runs for months at a time. If you want more variety, the freedom to choose what hills you want to ski and when there is a program that may suit your needs. For those who just want to bring their family out on four or five ski outings at the cheapest price possible, this program may also suit their needs. The Canadian Ski Council, an organization whose main mission is to promote the benefits of alpine skiing to Canadians, offers what's arguably the best ski deal in the country: the Canada Lift Pass Program. Sold in batches of 5 to 20 tickets, participating ski areas are assigned to different ticket categories based on the cost of a full-day 2018/19 lift ticket. In this way, they can offer customers the opportunity to buy packs of lift tickets at a generous discount of up to 35 percent. Applicants choose the package of their choice, pay everything up front and when ski season rolls around, use the tickets at any Canadian ski resort listed in the chosen package deal. It's basically buying in bulk with options to share the passes. The Canadian Ski Council proposes several package deals for differing budgets. Each package deal requires the purchase of up to 20 lift tickets which can then be redeemed at 137 ski destinations across Canada including nearly 60 different Quebec ski resorts. New packages include a cross-country ski program. As the season continues, passes are offered at discounted rates. Each year, the pass prices will be different as they are based on the current day pass cost at the resorts. So be sure an check the Canada Lift Pass Program website in summer of the year you want to ski. The earlier the better will get you the pass you want. The Canadian Ski Council usually releases its annual batch of lift ticket packages in the summer preceding the next ski season, usually in July or August. To get the best package deal, skiers and snowboarders are advised to buy into the program as soon as possible to take advantage of 20 percent to 40 percent off early bird discounts. Make sure to do the math and check regular rates for the hills you intend on visiting before choosing a package deal. For example, it might seem amazing to get the $1,400 Gold package deal because when you divide the 20 lift tickets it grants you, that comes up to $70 a pop and gives access to every Quebec ski hill on the list, top resorts like Mont Tremblant, a ski resort that charges up to $89 for a day pass. But are you going to go exclusively to expensive hills like Tremblant or Le Massif, which charges $81 for a day pass? 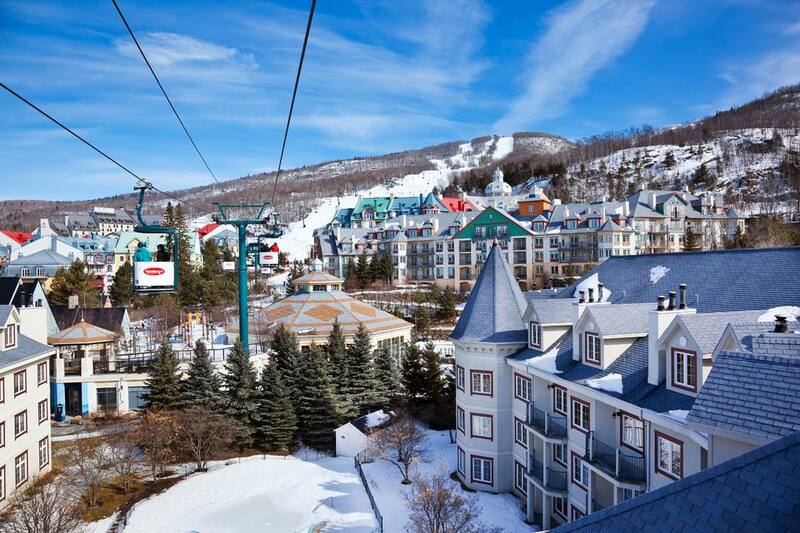 Or were you thinking of spending more time at Mont Tremblant's neighbor Mont Blanc? Mont Blanc is less congested than Tremblant and a ticket costs $57 regular admission for a day's access but with the Bronze package, costs much less. While both the Gold Pass and Silver Pass give access to an amazing list of top Quebec resorts, the Bronze pass also features some real gems for a fraction of the price, from Owl's Head to Sommet Morin Heights. Also, consider that ski resort admission for children and seniors is significantly less, and in some cases, is free, so be sure to spend time assessing if the Canada Lift Pass Program is appropriate for your age group, lifestyle, and family. And finally, if you love going to one specific ski hill frequently, then a season pass unique to that resort probably offers more savings than this program would. Keep an eye for deals at select hills in October and November.